Optimise your performance with the Maindeck Coastal Sailing Suit. Our innovative DC2 fabric technology ensures that you’re kept dry, warm and comfortable, even in the most extreme weather conditions. The two-layer Hydrophobic coated polyamide shell provides excellent breathability whilst remaining durable, robust and fully waterproof. 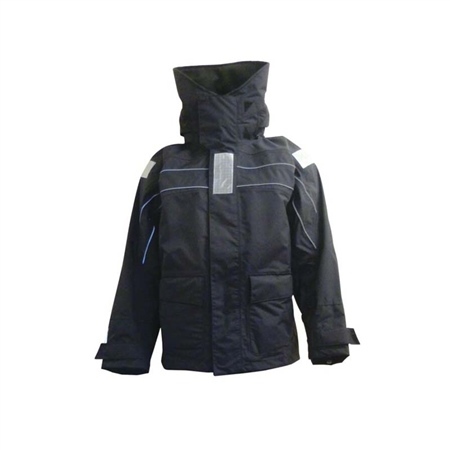 The coastal suit jacket comes complete with fleece collar, hand warming pockets and fluorescent roll away hood ensure you have all the essential garment features needed to keep warm and well protected from the coastal marine elements.